Cyber security threats: Is Your network vulnerable? As your business grows and scales, you will house more and more valuable information and data that need to be protected. In today’s plugged-in, high-tech world, cyberattacks are an everyday worry. Yet, your highly educated and experienced IT team should be more focused on working towards integrating IT with your core business solutions, rather than fending off security threats. If you’re concerned about potential security breaches because you don’t have the processes in place to keep your user ready IT hardware and software secure, an IT partner may be the answer. A knowledgeable, trustworthy IT partner will ensure you won’t have to worry about security risks as your business scales. With cybersecurity breaches affecting government departments and credit monitoring services like the recent hack on Equifax, no industry is immune to a security attack. Cyberthreats are growing in both volume and complexity. The ID Theft Center reports that in 2015 alone, 178 million personal data were exposed to breaches. Don’t think you’re immune or protected. If your IT foundation isn’t secure, your risk is amplified. Your ideal IT partner will not only stay abreast of ever-changing technology innovations, but keep potential security liabilities at the forefront when recommending and implementing IT solutions. Audit-proof: Being prepared for an audit should be a top priority for your business, especially as you grow and become more complex. The process of audit proofing that you’ll undergo with your IT partner will not only guarantee you’re prepared with up necessary documentation when audit time comes, it’ll also raise red flags where you might have security risks. Maintain your IT hardware and software: A vigilant IT partner will inform you about potential security risks and work to prevent breaches by keeping hardware and software up to date. The right IT partner will do this seamlessly, without any interruption to your project timelines. 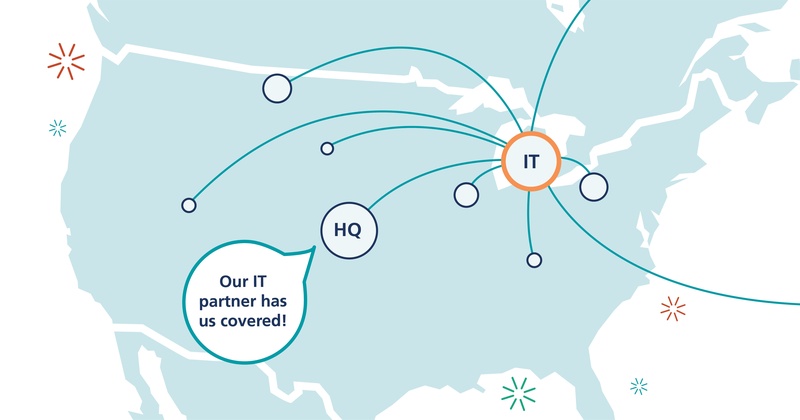 Moreover, your IT partner will provide tools to help get your entire company on board. Why? “What you really need to keep your digital environment safe is people who are vigilant and able to recognize threats.” Empower employees through training sessions to recognize potential security threats, and work with your IT partner to address them before they negatively impact your business. IT experts at DCC have put together a comprehensive guide on how to assess and manage your network vulnerability. Learn more here.